Today, we’re used to companies soaring away into the stratosphere with hundreds of millions of revenue within a couple of years of selling and $1bn-plus valuations to match. Teradici, a 10-year-old Canadian company based in Burnaby, British Columbia, has had something of a slow burn by comparison with the internet shooting stars, but its time might be now. It helps to be of a certain age to get an angle on this company. Think about when Sun Microsystems and others attempted to disrupt the Wintel world with thin clients or network computers. The idea was to load the server with resources and use the network to pipe down bits. The result? Lower hardware costs, simpler software licensing, centralised control and less admin. But the thin client only took off in niches because it couldn’t reliably handle complex graphics, multimedia and some application types that didn’t play by the rules of prevailing protocols. There emerged a solid minority market for server-based computing but this was largely controlled by Citrix and Microsoft and the PC stayed resolutely on desktops. But now Teradici has a solution that supporters say can provide PC-class handling of apps and resources with all the advantages of the thin-client model. I spoke to Dan Cordingley, CEO and founder of the company. He has a hybrid background having specialised in networking and semiconductors and selling his company Level One to Intel. After Intel, Cordingley worked in VC identifying the next big companies, so he was fairly ideally positioned to crack the thin-client conundrum. His answer is effectively remote computing over IP with high fidelity. “The thin-client market had a lot of negativity attached to it and had never really taken off,” he says over the phone from Barcelona where he is attending the VMworld conference/expo. Even when it worked, the thin-client model has begun to show its age. Teradici’s solution is for the host to do all the rendering on the server, creating what Cordingley describes as “a frame buffer full of pixels”. Images are decomposed, identified as video, icons or whatever and different compression algorithms are applied on a case-by-case basis. Teradici also analyses the network in real time and workloads sit in virtual machines behaving as they would in a PC but capitalising on fast enterprise storage and networking at the back end. So, where once thin-client activity was largely confined to everyday simple processes, today customers like Lucas Films use them for handling and sharing video. There are also usage cases in other demanding applications including CAD/CAM and trading floors. That has in turn attracted software, server, thin-client and screen makers to license Teradici software and/or silicon: VMware, AWS, IBM, HP and Dell among them. 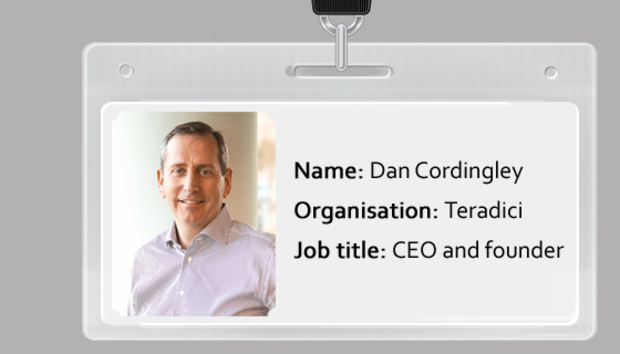 Cordingley would like to see Teradici float eventually but says his focus is on building a great company even if experience tells him that today’s partners might become rivals or predators. Even if that were to happen, the company is playing its part in the revival of one of the great ‘bridesmaid’ technologies.